In recent years, the dry bar technique has become a popular trend among women who need fast and efficient hair styling solutions. 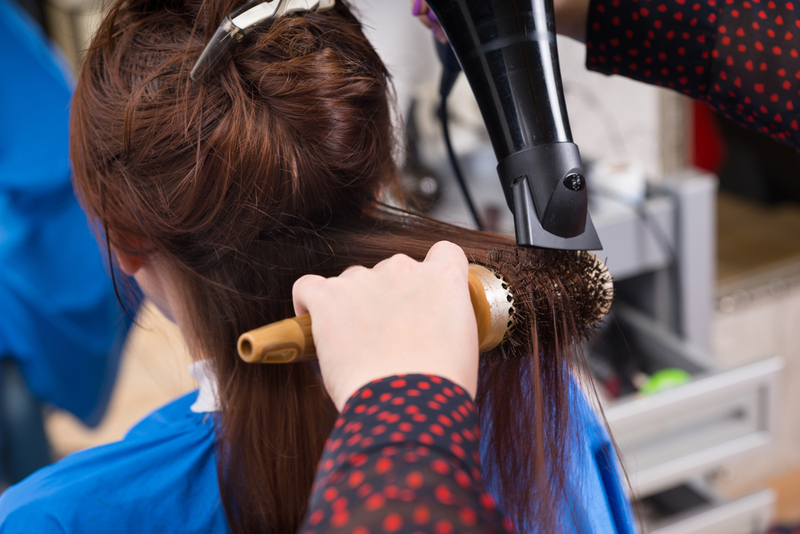 If you’re looking for more information about this blow drying method, Create-A-Cut Hair Designers in Norwich, CT, can help. The experienced staff at this local beauty salon specializes in a vast range of customized hair cutting and styling services. Below, they discuss a few prominent qualities of the dry bar technique and how it facilitates busy lifestyles. Dry bar services revolve around helping you attain the perfect mane for any occasion simply through professionally done blowouts. Whether you’re looking for a sleek style or big voluminous hair, this styling method is your one-stop solution to sport the look you want. With dry bar hair design techniques, you can get the desired style without having to spend your entire day at the beauty salon. It minimizes the time and effort that goes into getting your hair trimmed and colored to produce the desired effect. Salons offering dry bar styling solutions can easily customize your hairstyle to your face’s shape and requirements. They will also furnish you with a variety of looks their in-house stylists can help you attain with specialized dry bar blowouts. Getting dry bar hairstyles is an ideal way to do something indulgent while keeping up with your hectic schedule. What’s more, it also serves as a fun bonding activity to participate in with your close family and friends. Being a non-permanent hair styling solution makes the dry bar technique a great excuse to experiment with new looks and designs on each visit. The pros at Create-A-Cut Hair Designers will be happy to offer you consultations about the styles that best suit your face cut. With Create-A-Cut Hair Designers, you can count on receiving exquisite dry bar hair styling solutions in no more than 30 minutes. For further information about the hair products and services their beauty experts offer, call (860) 889-2979 or visit their website. Keep a tab on the latest hair designs and offers by following the Norwich salon’s Facebook page.